Last night I had a dream where I was standing near these two women who were sitting at a table. 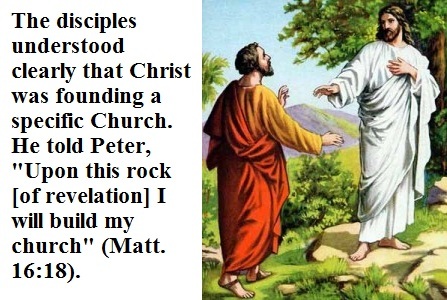 They were talking about this Scripture: “And I say also unto thee, That thou art Peter, and upon this rock I will build my church; and the gates of hell shall not prevail against it (Matthew 16: 18).” The two women were saying that Matthew 16:18 meant that Peter was the first Pope of the Roman Catholic Church. The two women smiled at me and were happy that I told them this truth. 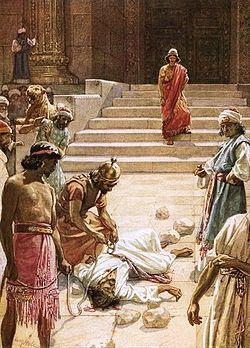 On the rock of revelation knowledge the Lord will build His church and the gates (strategies) of hell shall not prevail against it. Finally someone else gets it right. Great post. 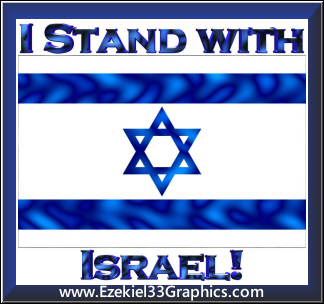 May the God of Abraham, Isaac and Jacob bless and keep you, now and forever. Altruistico: It is amazing how much Holy Ghost power and truth can come through such a short dream. Amen! We are nothing. HE Is everything. We must decrease. HE must increase!